Abner Ravenwood had nothing to do with the journal delivered at the University of Chicago. 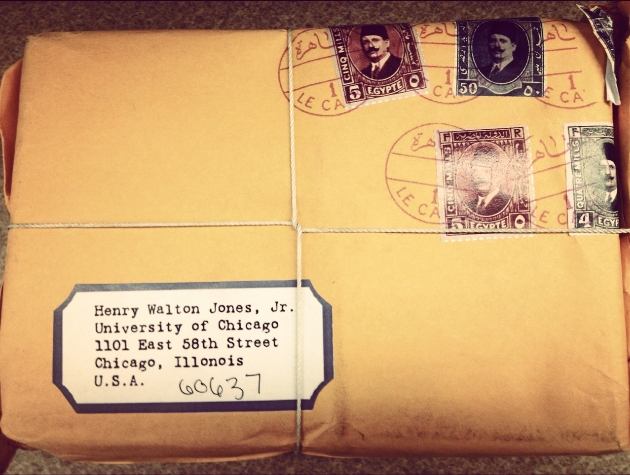 Just to get you up to speed, the University of Chicago received a mysterious package in the mail last week addressed to Henry Walton Jones, Jr. - yeah, that Dr. Jones. 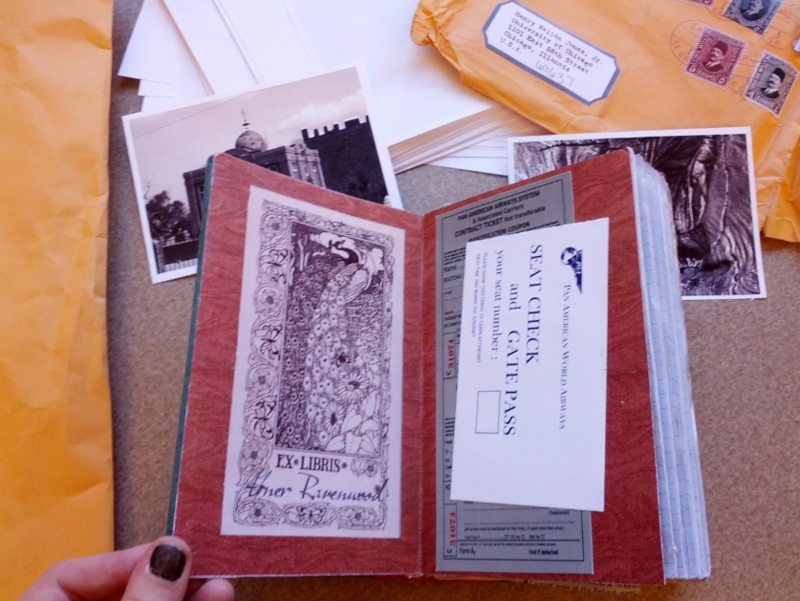 The package contained a spot-on replica of the journal of Ravenwood that Indiana Jones used in Raiders of the Lost Ark. The envelope had the correct address, with the zip code handwritten it, and there were postal marks and stamps that made it look like it had an Egyptian origin. Theories as to what the package meant flew across the interwebs - Is this an ARG marketing another movie? Was it some student's crazy application? - and the University of Chicago set up an email tip line to discover what they could and did some digging on their own. Much to everyone's collective dismay, the journal was apparently created by a prop replica artist named Paul Charfauros, who lives in Guam. The mysterious package was just one of his Ebay transactions lost in the mail on its way to a buyer in Italy. The package had an exterior box, but the shell was damaged and removed. 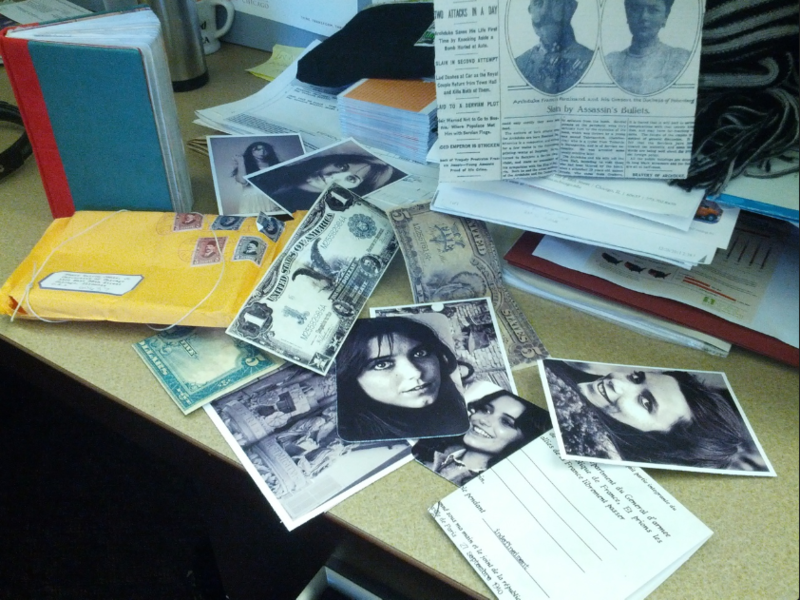 Inside was the manila envelope with the fake Egyptian postage and the incomplete address of the University of Chicago on it. "Somewhere between Guam and Italy the replica fell out of its original external package and was lost in Honolulu, Hawaii," reported Garrett Brinker, director of undergraduate outreach at the University of Chicago. "Then for some reason, with fake postage, no tracking, not even a zip code - it looks like the Postal Service had to manually write in a zip code on the package - somehow without all of that, the package landed in our laps in Chicago, Illinois." Paul Charfauros received a letter from the Post Office in Hawaii which informed him that one of his packages had been damaged. 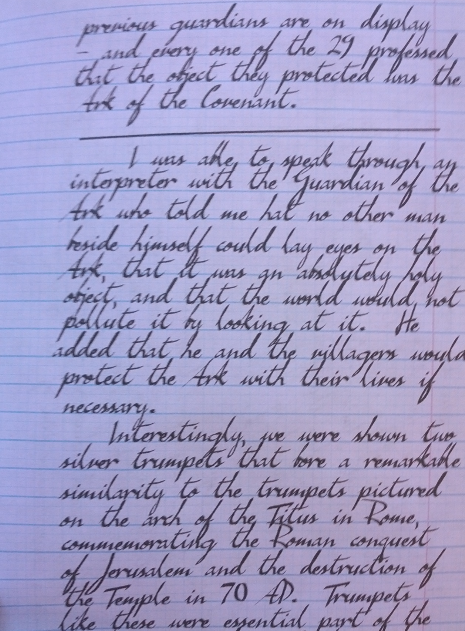 Around the same time, Brinker contacted him to ask whether the journal was his. So it wasn't a massive ARG or a publicity stunt by the new LucasFilm owners Disney to revitalize the Indiana Jones property. It was just something lost in the mail. Sigh. Well, Charfauros said he was making his customer in Italy a new journal and that the University of Chicago was welcome to keep the one they mistakenly received. "It will find its home either in the Oriental Institute at UChicago or the Special Collections at the Regenstein Library," read the University's Tumblr updating the situation. "Because, as many have noted, 'It belongs in a museum!'."